August 19, 2018--The three projects completed in 2014 (see below) have now all been turned into ornaments. The small stocking, the first stocking I've ever "finished", was a bit of a problem because I tried to sew it using "dressmaker" techniques. Big mistake--too many layers to turn and the top was a mess, to put it mildly. The next stocking I plan to finish is larger and I'll try the technique recommended by Pat Mazu. The round pinwheel ornament below was part of my ANG chapter's ornament exchange in 2014 and the small square pinwheel ornament hangs on my tree at Christmas. August 21, 2014--Finished stitching this CyberPointers July project designed by Pat Mazu. Really fun and fast to stitch and loved using up some of my stash. 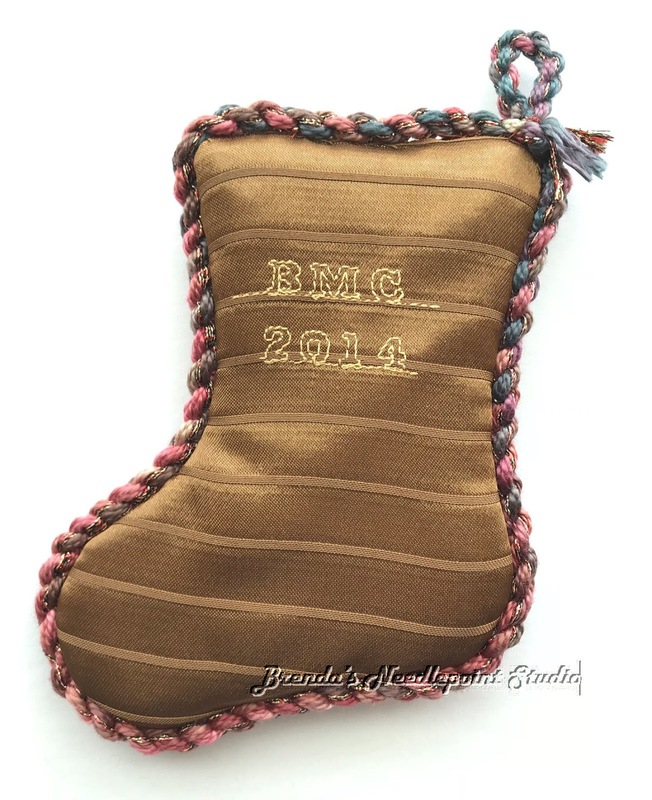 Can't wait to learn how to finish the two ornaments and stocking--lessons coming up at the September meeting. August 5, 2014--ANG's online CyberPointers Chapter offered Pat Mazu's pinwheel ornaments as their July stitching project. 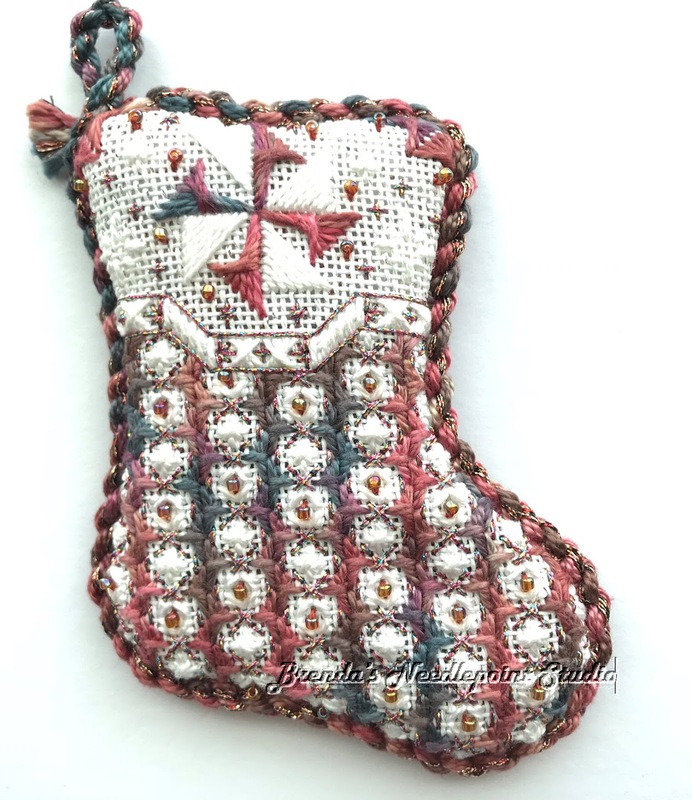 There are three to choose from--a mini stocking, a round ornament and a square ornament. Pat will instruct us how to finish these ornaments during the September meeting. I've decided to stitch all three, choosing threads from my stash.